It’s the end of an era at the New York Times: The Grey Lady is apparently tearing the sheets with its eight-decades-long advertising column. 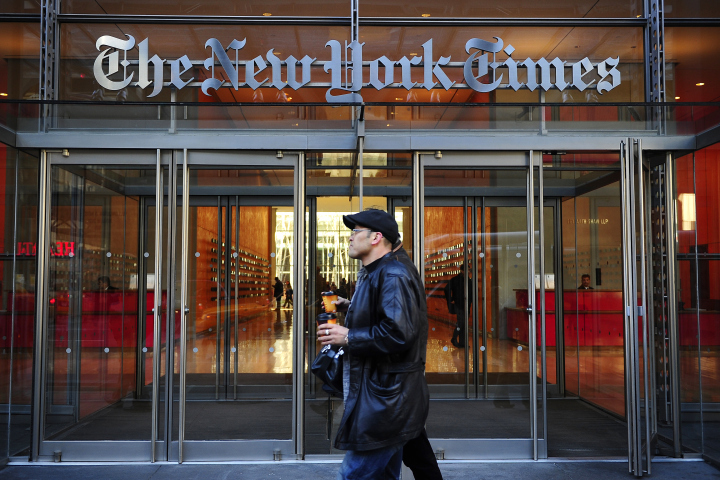 Word is circulating that the New York Times will drop its long-running advertising column, a fixture for decades, as the buyout-taking Stuart Elliott pens his farewell column for the paper on Friday. Elliott wrote the influential newspaper column for 23 years, breaking the old record of 22 years held by Phil Dougherty, whose tenure ended in 1989 with his death . . . There has been no internal buzz on an Elliott replacement, leading many insiders and outsiders to conclude that there will be none. Meanwhile, crosstown at the Times, there was this Stuart Elliott swan song in Friday’s edition. FROM the early 1990s to the mid-2010s — almost a quarter-century of fundamental changes for Madison Avenue, and for those who have covered the advertising industry. There are profound differences from the past; clearly, the astonishing shift from analog to digital ranks as the most disruptive. At the same time, there are a rash of similarities that could comfort a time traveler from the days when Mitsubishi was introducing the Diamante to affluent auto buyers; or the idea of populating commercials with hip “dudes” to reach teenage consumers was fresh enough to warrant a feature. Meanwhile, this ad also ran in Friday’s edition. Through our 47,200 employees in all major world markets, our companies specialize in consumer advertising, digital marketing, communications planning and media buying, public relations and specialty marketing. This entry was posted in Uncategorized and tagged Carl Spielvogel, Interpublic Group, IPG, Keith J. Kelly, New York Post, New York Times, Phil Dougherty, Randall Rothenberg, Stockholm Syndrome, Stuart Elliott. Bookmark the permalink.